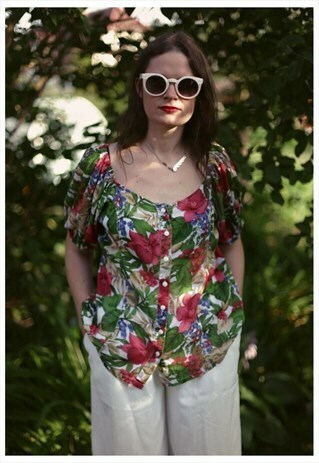 Lovely vintage multicolor flower print short sleeves blouse. Uk size 16. Measurements: length 21 inches, chest 46 inches, waist 44 inches.